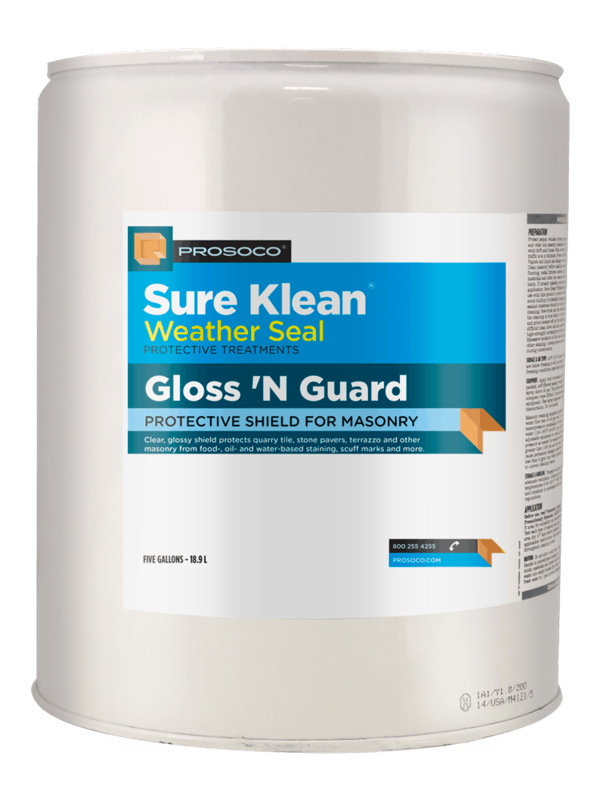 PROSOCO Stand Off® Gloss ‘N Guard is a highly-durable, protective coating for tile, pavers, terrazzo and other polished and unpolished masonry. 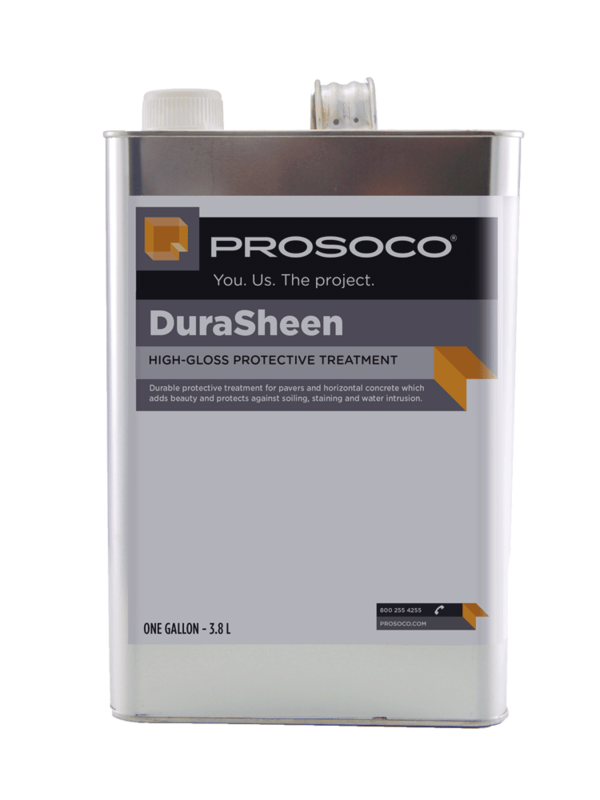 It dries to a high-gloss finish which enhances the natural beauty of treated surfaces and simplifies maintenance cleaning. 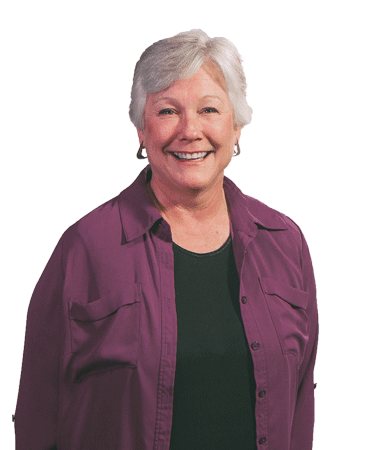 Manufactured and marketed in compliance with USEPA VOC regulations (40 CFR 59.403). Water, dirt and foreign matter do not penetrate the treated surface. Enhances natural look of pavers and other masonry. Resists scuffing, black heel marks and water penetration. Excellent resistance to organic stains and oil. 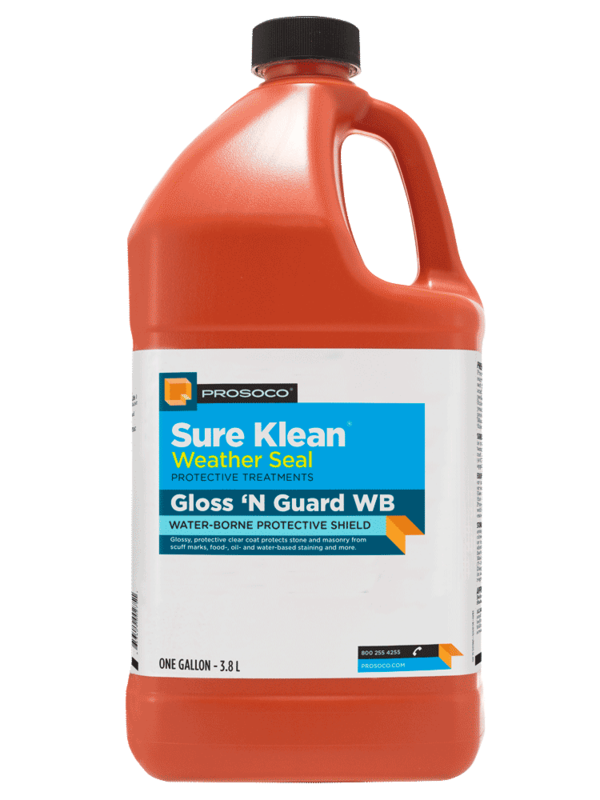 Sure Klean® Weather Seal Gloss ‘N Guard WB is a highly durable, water-based, acrylic protective coating for tile, pavers, terrazzo and other decorative paving, as well as burnished concrete block and architectural custom masonry. Gloss ‘N Guard WB dries to a satin-gloss finish which enhances the natural beauty of treated surfaces. 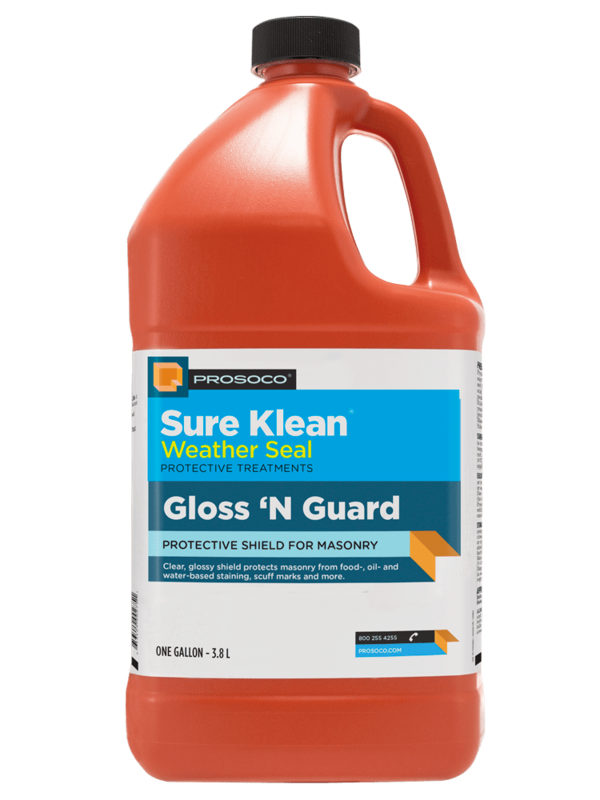 It guards against water penetration and makes mortar smears and other construction soiling easier to remove. 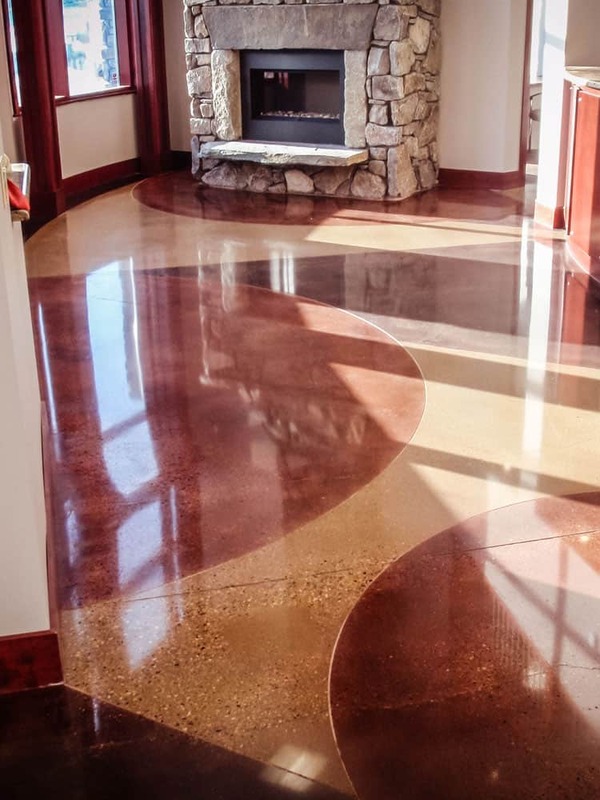 When applied in-plant to burnished concrete block or architectural custom masonry, Gloss ‘N Guard WB protects against the scrapes and scuffs of transport. Following construction cleaning, the treatment deepens and enriches the color of burnished block and makes maintenance cleaning faster and easier, while helping protect against weathering.